Augmented reality (AR) is still a young technology. AR mixes the real with technical enhancements that will transform package design by giving consumers additional multimedia information at the touch of a button, or the read of a QR code. Augmented reality already plays an important role in brand experiences and dictates how consumers interact with the products they use every day. As AR continues to gain popularity, we will see how it will take packaging to the next level and change the way that consumers make choices. Today’s digital marketers spend more money on advertising than ever before. 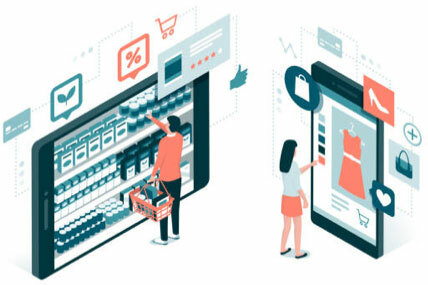 Shoppers crave interactive relationships with brands that allow them to do more than just consume goods, but experience them. Leveraging the power of smartphones and other mobile devices, marketing departments are starting to realize the power these devices can have in creating immersive experiences for users. Augmented reality has particular untapped potential in the packaging industry, as brands can use it to improve the knowledge and loyalty of their product, stand out from the crowd, and entice new consumers. With little more than a QR code, brands can begin to enjoy the benefits of AR for themselves. Create a virtual element to add to your label, connecting users to more useful information. With AR, brands are no longer limited by the space on the label. Businesses can use AR to provide trivia, nutrition information, recipes, and more. Create brand loyalty. By presenting information in an engaging manner, marketers can create memorable experiences that make people more enthusiastic about the product and more likely to purchase it again. Packagers and businesses face an important challenge as we move deeper into the digital revolution. First, they must ensure that their products succeed and overcome the risks that would be associated with rebranding or repackaging. The future of brand and product marketing will be immersive, interactive, and personalized. At the same time, incorporating AR/VR into labelling will be worth the investment, especially when considering that the mobile devices of the future will come with built-in AR/VR technology. With this barrier to access a moot point, most consumers of the near future will be ready to absorb augmented reality content. Packagers should be ready with dynamic advertising solution options for companies. By incorporating AR elements into packaging, businesses can successfully create useful content for consumers that inspires brand loyalty and attracts consumers to their products. With early adoption of AR packaging, businesses can gain a competitive edge in the digital marketing environment. Packagers will be ready to meet this demand with options to suit company demand. Augmented reality (AR) provides a way for people to interact with a real environment through portable devices. AR adds layers and dimensions of interacting with the environment not possible in the real world. Companies are taking advantage of this new technology in the way they package goods for consumers. There are several ways that AR can bring customers and products closer together, to make the shopping experience more entertaining and meaningful. Many products have small labels. AR can be practical by magnifying those small labels and making them easier to read. Enhance your catalog with AR, as Ikea did. When you wave your smartphone over the pages, you get the option to design a 360-degree view of a room with Ikea products, as well as watch videos and interact with 3D models of items they’re selling. Make the shopping experience more convenient, like Topshop did. With augmented reality dressing rooms, customers at Topshop can see how a garment would look on them without having to physically try it on. Trackers in the dressing room superimpose your choice of clothing on your body so you can see, quickly and easily, how it would look and fit. Spice up your print ads with some kinetic action. With HP Reveal, Lexus makes their cars come to life, turning into 3D versions that can drive right off the page. This digital experience is entertaining and makes the product even more attractive. Use AR for special promotions. Heineken’s logo, when scanned, produces a digital 3D globe that customers can explore. They also offered sweepstakes prizes for the Latin Grammy Awards which generated lots of interest in their product. Just because you can use augmented reality doesn’t mean that it should be used without a plan. Experts note that some instances of AR can backfire or be a waste of time. As always, know your audience. If you are selling a medicine used primarily by the elderly, AR packaging may be helpful, but not if the consumer is unable to use it. Many older customers do not look for AR or are not even aware of it. AR is a product enhancement that will be more attractive to younger consumers. Remember that gimmicks wear out their welcome pretty quickly. AR should enliven the connection between customer and product, it should mean something with respect to the product. Having AR without a strategy it will not heighten the experience and can even distance potential customers from the product. Know your audience and keep the experience meaningful. If you approach AR in the right way, it can invigorate your connection with your clients and make your products stand out. Contact Century Label to discover new possibilities and applications for augmented reality.